Items In My Mailbox: 1 Item! 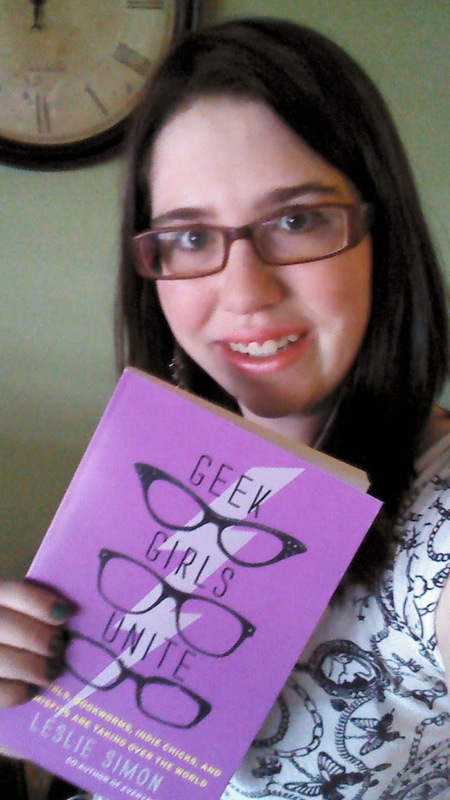 Item #1: Geeks Girls Unite by Leslie Simon from Chapters.ca! I'm pretty sure that this is probably my best example for an impulse purchase ever. I literally saw a Tweet by a girl by the name of @_theCLi of the front page of this book, and immediately that internal desire that many girls harbor within them to seek out and purchase things came alive within me. My first tweet back read "This is a book? Okay, I need to own this immediately", which after a bit of meandering around the Chapters website soon turned to "LITERALLY just ordered my own copy :P" - I'm not positive why I chose to capitalize 'literally', looking back it actually looks kind of weird, but that just gives you a better idea about how excited I was at the prospect of flipping through this book. All of this happened on the 25th, kid you not, and on the 26th it had arrived at my door! By the way, since I work for Indigo in one of their stores, I might as well mention to my Canadian readers that Chapters.ca is doing Free Shipping with no minimum, and it ends at midnight today, so click here to get on that ASAP! Okay, obligations over, back to the book at hand! Or, well, in my hand, as you see in the picture. I haven't finished this book yet, but I managed to get through the introduction on the bus ride to school today, and already I'm in love :) I'm not sure if this Leslie Simon is familiar with the IGGPPC, but I feel like she would wholeheartedly approve if she was aware of its existence. 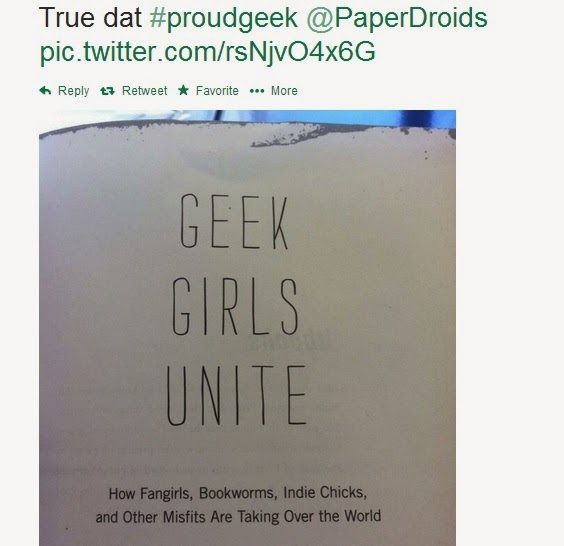 Like other geek-centric reference guides that I own, the book divides geeks into various categories. One thing I like about this book so far, however, is from the get-go it not only makes it clear that there are a heck of a lot more types of geeks out there than the ones she delves into, but the categories she chooses aren't too narrow; they're rather broad and help to define realistic types of geeks that exist out there in the world. The chapters in this book are divided into Fangirl Geeks, Literary Geeks, Film Geeks, Music Geeks, Funny-Girl Geeks, Domestic Goddess Geeks & many more! I'm very much looking forward to getting to finish this book! If anybody wants to learn more about my insights as I read, let me know in the comments section and I can dedicate a second post to the awesomeness that is this book. In previous posts I have mentioned the possibility of a giveaway that I want to do in April. Just to give you guys an update on that, I have set up the giveaway to take place on April 15th. 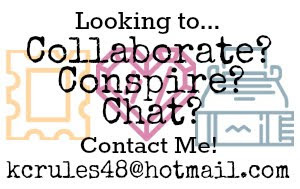 It will officially start on Rafflecopter at midnight, but my post for the giveaway on here will go live either later in the morning or at noon, all depending if I need to take a little extra time to fix anything before it goes live. It will continue until April 30th. There will be a variety of prizes, but only 1 winner will be receiving a big ol' package in the mail! In future posts I will possibly be including some snap shots of a few of the prizes that I'm planning on giving away as part of this giveaway. 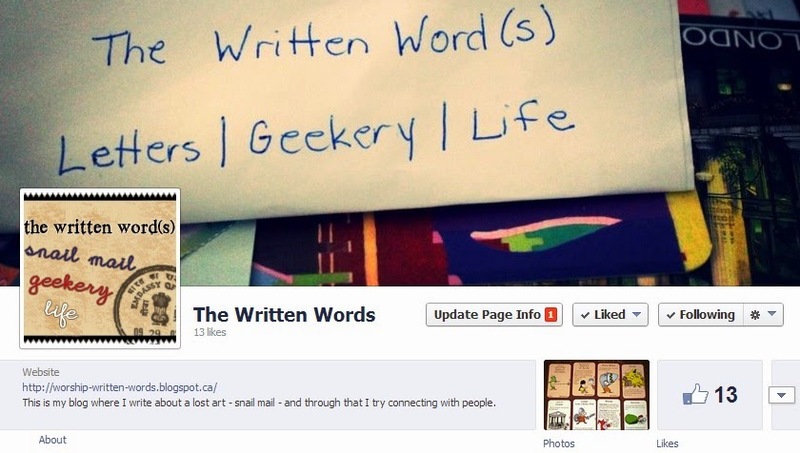 Also, The Written Word(s) has its own Facebook page now! Be a doll and go and click the "Like" button for me? That's all for now! I will be keeping you posted!